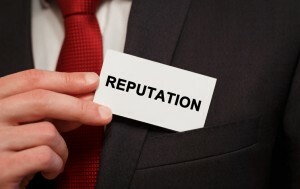 A huge part of business branding focuses on online reputation management (ORM). It does not take long for a bad customer experience to impact your bottom line, and if you are caught off guard, the situation can get even worse. The following online reputation management tips can help you make sure that you have to best audience relationship possible and positive product branding. An important part of creating a good brand reputation is to be the go-to source for information. You need to portray that you are one of the original sources for the information a browser is looking for, which means you need to be as transparent as possible. People prefer to read content that is human and not overly technical, depending on your target market. This transparency helps them stay connected to you, and helps you develop a better understanding of the consumer behaviour. Social media is not just for Millennial entertainment. Your business needs to remain relevant if you want to appear higher in search results. You can achieve this by making sure your site, business branding, and social media is updated frequently. Your content should be fresh, and interesting. Having a social media strategy is beneficial, if not vital. A lot of online reputation management deals with what people believe about you. If you focus on creating a brand that people love, you’ll be able to get past most challenges. If you have fans or frequent customers, maintain their relationship and let them do the promotion for you (via social media, reviews, recommendations, etc.). When people feel connected to you and feel the need to defend your brand, you’ll be surprised how much easier it is to better manage your reputation. Part of what makes you look like the expert involves creating articles that feature news, new product releases, and other information you are well-versed in. Quality content, whether written or visual, can help you outrank any competitor’s web site that doesn’t have an abundance of authority. When you achieve a goal, create a press release or industry update. This adds to your professionalism and helps you gain consumer interest. There may be times along the way that certain web sites create negative reviews about your brand. It is a good idea to ask them if that content can be removed, especially if it is affecting your ranking or your online reputation. If that is not possible, ask if they can replace the negative content with something neutral in the Google search results. Another way to combat negative publicity is to ask your customers to submit reviews explaining what they like the best about your products and services. If you do experience any complaints from a customer, deal with them immediately to prevent them from writing a bad review online. In some cases, it only takes one bad review to turn off a lot of your customers. It’s a good idea to keep checking on your business’s reputation online. You can look up your business in different search engines and see what results appear. Check each of the links that are mentioned and see which ones you can improve. Keeping an eye on what information is out there about your company can save you from a series of crises in the future. Since reputation is such a sensitive matter, it needs to be constantly maintained to protect your brand and there are professional online reputation management agencies that can help you. Numero Uno Web Solutions provides its clients with many marketing solutions such as SEO, ORM strategy development, content audit services, online reputation management, web designing and development, and more. We are a content marketing agency in Toronto that specializes in helping small- to medium-sized businesses improve their web sites. For years, we have helped clients across the Greater Toronto Area, Texas, Massachusetts, and Florida, boost their marketing strategies and grow their businesses. 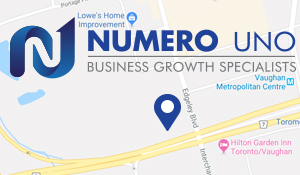 Call us at 1-855-SEO-XPRT to learn more about the services and expertise we provide at our Vaughan location.